When Broken Spanish opens in the former Rivera space, chef Ray Garcia will boldly join the ranks of what I’ve been calling Alta California cuisine, a style of cooking from a group of Los Angeles-born pocho (Mexican-American) chefs rooted in the Latin cuisines of their youth, fine-dining experience in our California-cuisine kitchens, and the use of our abundant and diverse local products from L.A. farmers’ markets. Garcia is one of the most respected chefs in Los Angeles, known for his European-inspired cooking. 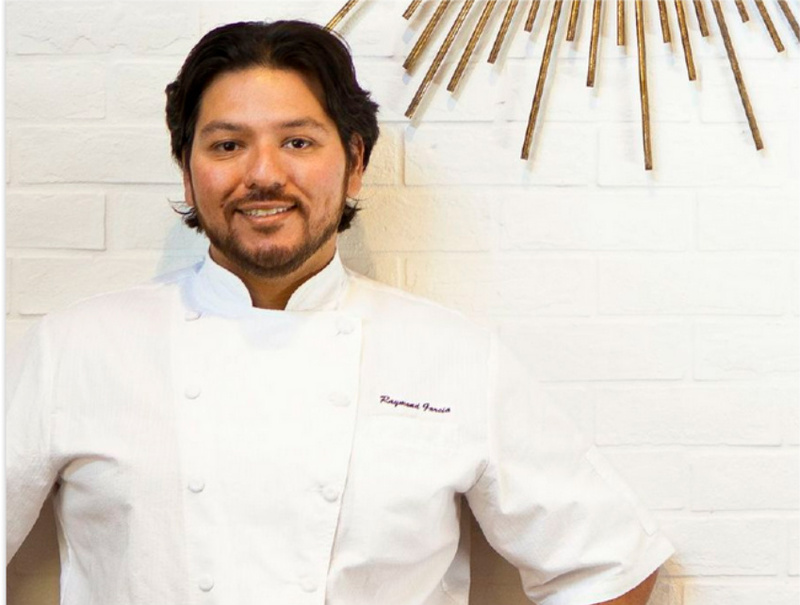 But you could catch him at events where he’d prepare things like whole pig-head carnitas, and Garcia also had tacos and Mexican comfort dishes on the brunch menu at Fig, where he previously served as executive chef. Broken Spanish, which is slated to open in the late spring, will draw from Garcia’s Mexican-American experience and embrace the technique of the Mexican kitchen: cooking in banana leaves and corn husks, birria, slow roasting, earthen pots, and tamales. “The food will have familiar delivery but will be presented in the way I took these dishes myself, and incorporate things I’ve learned or been taught in my family,” Garcia says. In other parts of the U.S., non-Latino chefs with little to no background in Mexican cuisine are trying to elevate a limited selection of cultural dishes without context or serving flat renditions of traditional plates, but Mexican cuisine is the first language of the pocho chef. “Tortillas were our bread,” says Garcia, remembering tacos made with pan-fried bologna and salsa on a stovetop-warmed tortilla. During Garcia’s last week at Fig, which he left last year, he served buttermilk-flour tortillas with carnitas drippings and a heap of white truffles. It was one of the best dishes I had in 2014–so simple and delicious, and something that only a pocho would dare to do–it takes one to know one! While the Broken Spanish menu is still in the works, there will definitely be house-made chorizos, moronga (blood sausage), and other Mexican-style stuffed sausages that will be cooked in hojas (corn husks or banana leaves) then served with salsas. It should be the most ambitious restaurant serving 100 percent homegrown Mexican cuisine, spoken with just a bit of a California accent. Next articleAsk Chris: The Church Bells in My Neighborhood Are So Loud, They’re Driving Me Crazy. Aren’t They Subject to Regulation?